Friday, March 03rd, 2017 | Author: Bunco Betty! Why not have everyone wear green, roll some green dice, and host a leprechaun themed bunco party? Monday, February 13th, 2017 | Author: Bunco Betty! Why not have everyone wear red, and host an American Heart Month themed bunco party? Cut out 16 heart shaped pieces of mozzarella cheese Cut 16 slices of roma tomatoes Layer the cheese, tomatoes, basil leaves into rows. Drizzle balsamic glaze over the caprese appetizer and serve. Today (Monday 1/30/17) is the last day to save 20% of any purchase at www.buncogameshop.com. Just use coupon code: Football2017 at checkout. Drain the salsa, tomatoes, and olives before starting. Layer the cups with beans, guacamole, yogurt, and drained salsa. Cover each cup with clear wrap and refrigerate. Top the cups with the cheddar cheese, green onions, tomatoes, and olives just before serving. Monday, April 18th, 2016 | Author: Bunco Betty! SCROLL DOWN FOR YOUR $5 OFF COUPON! Running short on time and need a quick and easy appetizer for bunco night (like me this month….)? Use a blender or food processor to blend ingredients until smooth. Serve with breadsticks, pita bread, or cheese straws. Note: Grissini (Italian bread sticks) are usually found on the cracker at major grocery stores. USE CODE: HUMMUS at www.buncogameshop.com for a $5 discount on any purchase of $25.00 through 4/25/16. Monday, March 07th, 2016 | Author: Bunco Betty! SCROLL DOWN FOR YOUR 20% OFF COUPON! 1. Pulse pickled vegetables in food processor 8 to 10 times or until finely chopped. Stir in olives and dressing. 2. Spread 1 heaping tablespoonful pickled vegetable mixture over cut side of each roll bottom. Top each with 1 Swiss cheese slice half, 1 ham slice, 1 salami slice, 1 provolone cheese slice half, and roll tops. Cover with plastic wrap. Serve immediately, or chill until ready to serve. Note: We wrapped the muffulettas with crepe paper and tied them with twine from the dollar store. USE CODE: MUFFULETTA at www.buncogame.shop.com for a 20% discount on any purchase of $25.00 through 3/15/16. Wednesday, January 08th, 2014 | Author: Bunco Betty! One of my Bunco group’s favorite theme is Pajama Party Bunco. What’s not to love? You get to show up in your pajamas, robe and fuzzy slippers and eat breakfast food (when it isn’t actually breakfast time!). A Mimosa or Bloody Mary (either non-alcoholic or otherwise) would be a lovely way to start out. Breakfast favorites lend themselves perfectly to potluck. Muffins, croissants, casseroles, waffles, cinnamon rolls, sausage, bacon, the list could go on and on. I love all of those things! However, I wanted to shake it up a bit! 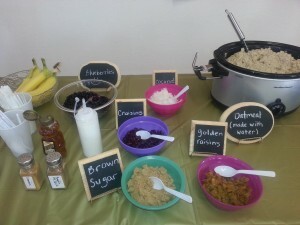 Oatmeal in a slow cooker with a toppings bar is so much fun! Some ideas are dried cranberries, golden raisins, nuts, brown sugar, honey, chopped apples, cinnamon, you get the idea. 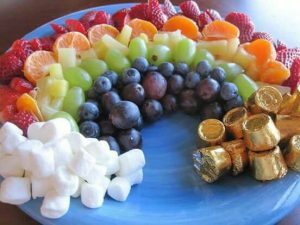 This way there is a healthier option that people can customize. Another idea for a crowd is make your own breakfast burritos. Make some scrambled eggs and keep warm in a slow cooker. Have some warmed tortillas, cheese, meats, breakfast potatoes, salsa, sour cream, avocado, etc.so that each person can customize a burrito to her liking. Easy yet delicious and something most people will enjoy. If you prefer not to serve breakfast food, you could go the traditional route and make it a pizza party. That is fun too! Now onto the actual Bunco game. Some prizes for this theme may include sleep masks, fuzzy socks, fleece throws,a Bunco apron even small packages of cinnamon rolls or muffins. Everyone can vote on who is the most festive and she could win a prize–fuzzy slippers maybe! There could be a fun movie such as, Girls Just Want To have Fun (one of my favs!) playing in the background. We always have a ton of fun with this theme. Some ladies wear pink rollers in their hair and are decked out from head to toe. It is a fun way to start the New Year off! Has your group held a Pajama Party Bunco? If so, tell me what you did to make it fun on the Bunco Game Shop Facebook page. Monday, December 09th, 2013 | Author: Bunco Betty! It’s the time of year to indulge. Many Bunco get togethers will center around good food and desserts (cookies!). A delicious seasonal beverage is a perfect accompaniment. My group has had three December Bunco games so far throughout the years, with a fourth coming up this Sunday! The first year we met at a Mexican restaurant, played Bunco and drank margaritas. The second and third years we met at a members home, who along with her best friend are awesome at entertaining. It is a not to miss event each year. They go all out with non-alcoholic punch, soda and delicious Champagne Punch. These wine charms would be great to keep track of whose cup is whose. Hot beverages are popular during the winter season. Even in the Southwest we are in the mood for a warm beverage. One of my favorite ways to serve hot chocolate is in the slow cooker. Drinking hot cocoa can be even more fun with a toppings bar. The presentation can be beautiful and festive. I always get compliments and comments saying it looked like I worked so hard to put it together. The truth is it is so easy to do! You can let them think it is hard to do. Mini marshmallows, chocolate syrup, whipped cream, candy canes and mini chocolate chips make perfect fixings for hot chocolate. For those that enjoy a spirited beverage, Irish cream can be added as well. 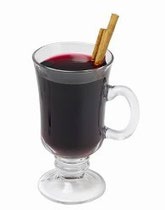 Some other festive beverages for this time of year include Egg Nog, Spiced Cider and Mulled Wine. What is your favorite seasonal Bunco beverage? Is there a tried and true favorite your group loves? If so, please let me know on the Bunco Game Shop Facebook page. While you are there enter to win this month’s giveaway! Friday, November 15th, 2013 | Author: Bunco Betty! The holiday season is quickly approaching. With all the busyness of the holidays, it is fun to take a break and play Bunco with the girls. One year in November my Bunco group held a Formal Bunco. It was so much fun! We all dressed up. Some of us were fancier than others but we all wore dresses. Our potluck was done differently as well. 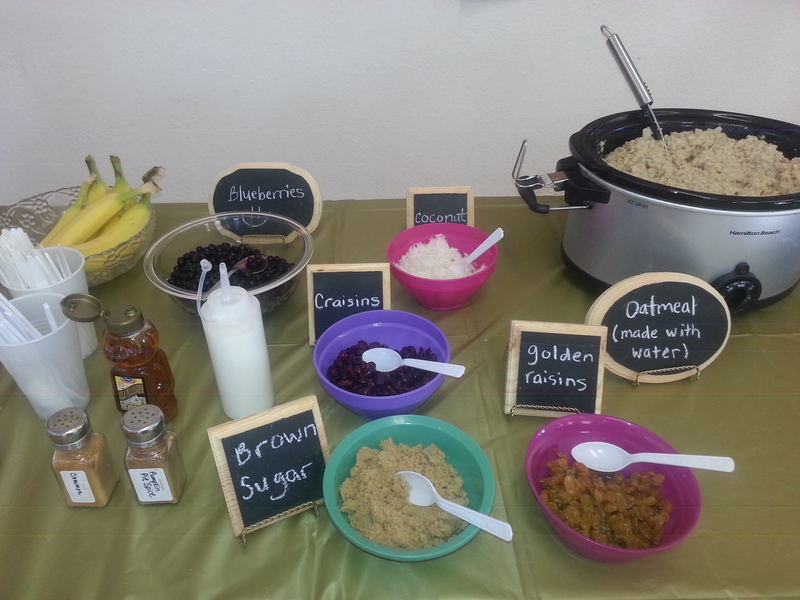 We had people sign up for food which included a variety of appetizers, salads, bread and dessert. The hostess provided pasta as the main dish. For added fun we had a sit down dinner instead of our usual buffet. For dessert we had a chocolate fountain. People brought decadent dippers for the fountain. Cheesecake pieces, cookies, pretzels, strawberries, marshmallows and dried fruit all tasted delicious dipped in the chocolate. 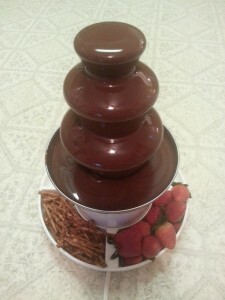 For my small fountain, it takes two packages of chocolate chips melted and mixed with 3/4 cup of vegetable oil. I love a mix of premium bittersweet and semi-sweet chocolate, yum! Typically we use paper plates, plastic utensils and plastic cups at our Bunco games. Formal Bunco is the time to break out the fine China, actual silverware and glasses. It really was nice for a change. We spent extra time socializing and enjoying each others company. Whenever someone rolls a Bunco we pass around a necklace, usually one that pertains to the theme. At this Bunco we passed around a feather boa for a more formal touch. The prizes were for pampering the Bunco Babe. Bubble bath, shower gel, mud masks and nail polish were some of the items that people won that evening. Formal Bunco was a fun time for all. It was a nice change from the casual approach we usually take and a wonderful indulgence, especially for a busy mom like me. Have you ever attend a Formal or even a Black Tie Bunco? If so, please tell us about it on The Bunco game Shop Facebook Page. Thursday, November 07th, 2013 | Author: Bunco Betty! The weather is cooling down so that means that food for Bunco games is heating up. There is nothing like hot, delicious food such as dips to share at Bunco. I live in the Southwest, so in the summer I try to avoid using the oven. Now that the temps are in the mid 70s here (that is cool for us!) it is time to make some comfort food. One of my favorite resources for delicious Bunco snacks and appetizers is The Bunko Junkie Appetizer Book. It is available via free download here. With 150 delicious appetizers, it is your one stop for finding a yummy food item to take to your next Bunco game. Below is the recipe for one of my favorite appetizers from the book, Appetizer Surprise. 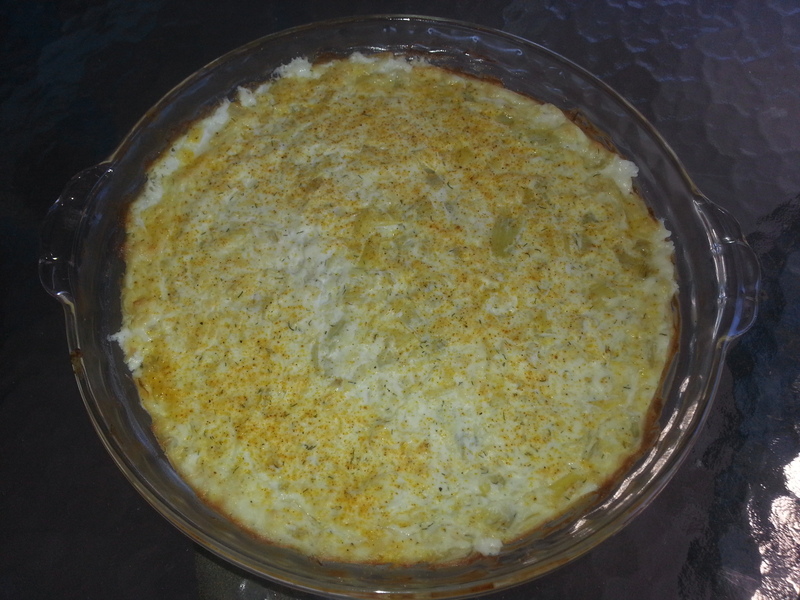 It is a creamy artichoke dip with lots of Parmesan cheese. One of my favorite flavor combos! Drain and chop artichoke hearts finely and set aside. Mix remainingingredients until smooth and creamy. Add artichoke hearts and mix well.Place in long shallow dish that has been greased or sprayed with non-stick spray. Sprinkle with paprika. Bake at 375 F. for approximately 20-25 minutes, or until bubbly and brown. Serve with Ritz crackers, or dipping cracker of your choice. Keep warm while serving. A little dipper slow cooker would work perfectly! Another book called, Dice with Spice would make a great gift or prize for a Bunco Babe. Each recipe takes less than 30 minutes to prepare. 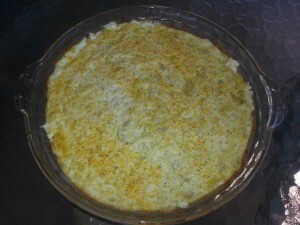 It is a time saver and the recipes are delicious! Since the holidays are upon us, check out the video tutorials by The Bunco Game Shop for Winter Wonderland Cocktails and Chocolate Cherry Hot Fudge Cake. What is your favorite snack or appetizer to make for Bunco games around the holiday season? Let me know on The Bunco Game Shop Facebook Page. While you’re there, enter our monthly GIVEAWAY!